Antelope Canyon is the most-visited and most-photographed slot canyon in the American Southwest. It is located on Navajo land. Antelope Canyon includes two separate, photogenic slot canyon sections, referred to individually as Upper Antelope Canyon or The Crack; and Lower Antelope Canyon or The Corkscrew. 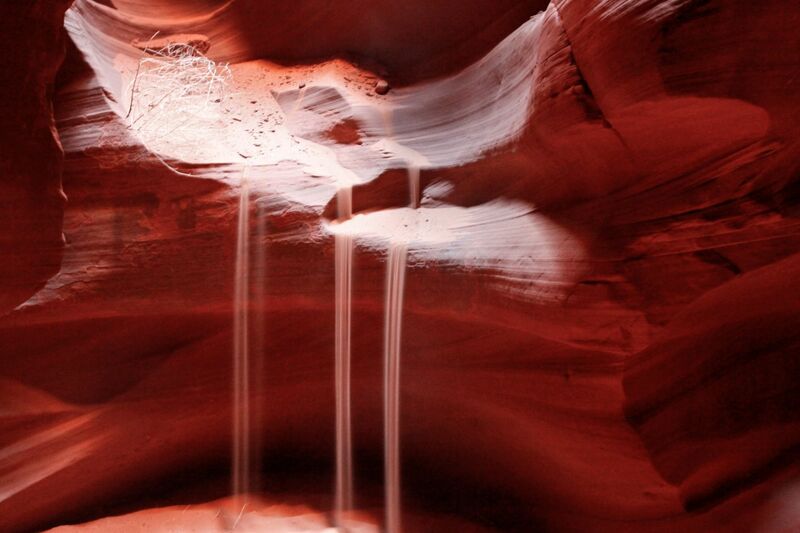 This is an image of the Sands of Time at Upper Antelope Canyon.